Leading IT specialists Midland Computers have cemented their relationship with VMware with another professional accreditation. The company already holds VMware accreditation and this latest accolade demonstrates the technical expertise and skill set the team already has. 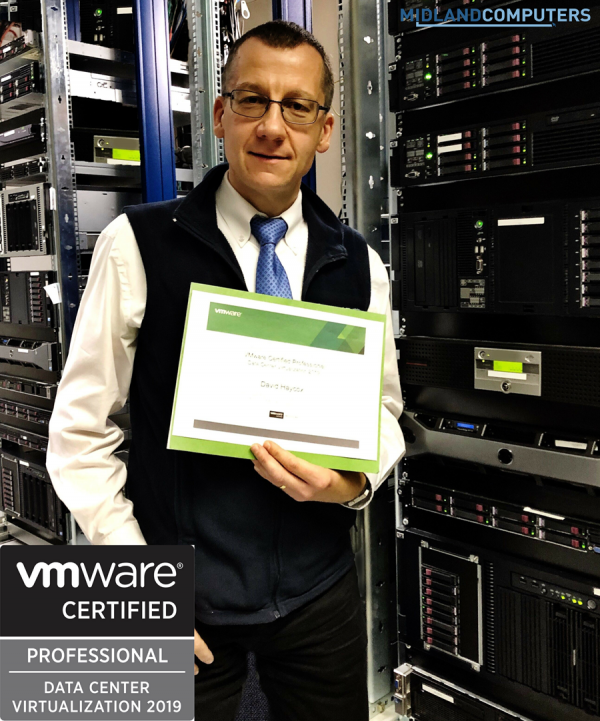 David Haycox is a consultant engineer at Midland Computers and has now been certified “VMware Certified Professional – Data Center Virtualization 2019”. David has been working towards the certification and the hard work has paid off.